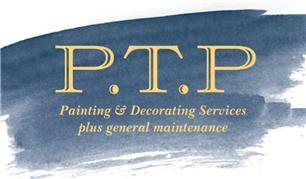 PTP Painting & Decorating Service - Painter/Decorator based in Westbury, Wiltshire. Hello and thank you for taking the time to consider P.T.P Painting & Decorating Services. I am a friendly and professional Painter and Decorator with more than 15 years’ experience. I was taught the trade on site as an apprentice by a very highly skilled and knowledgeable Master painter & decorator. My services include all aspects of Internal and External Painting and Decorating including textured finishes and wallpapering. I also utilise my lifelong love of art by offering my services as a sign writer, and bespoke wall mural artist, perfect for creating a completely unique atmosphere in any space, but especially popular in kid’s rooms. I have a very keen eye for detail, I have always been a strong advocate of the saying, "if a job's worth doing, it’s worth doing well". No job is too small, contact me now to arrange your free quote. I am sure you won't be disappointed.